KATHMANDU, 29 Oct: Secretary from the Tourism Ministry of Nepal has vowed to stop the collection of additional taxes from tourists by the local bodies claiming the ministry is in attempt to control it. 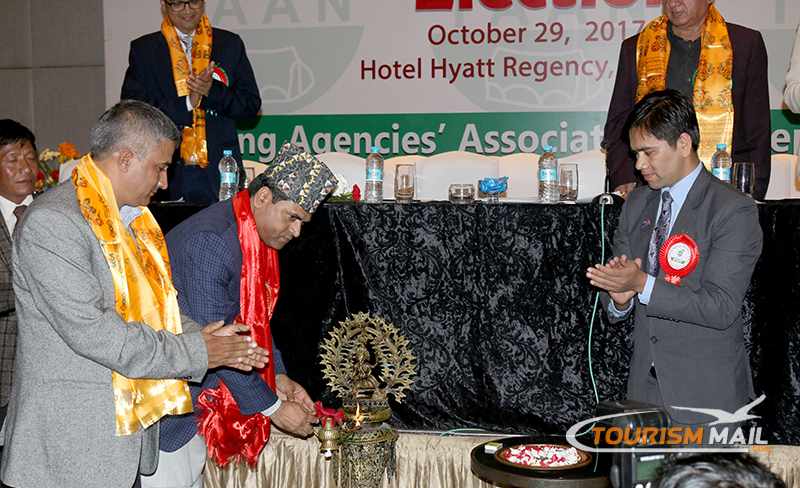 Addressing the AGM of Trekking Agencies Association of Nepal (TAAN) that kick started in Nepali Capital Kathmandu from Sunday, Secretary Maheshwor Neupane termed the collection of additional tax by the local bodies in various parts of the country as illicit act. He also claimed that Tourism Ministry has been following the issue with much concern and opined that the issue should be solved through consensus. He also suggested the TAAN leadership to take the issue of Tims much seriously and make the management system up to date to keep the transactions transparent.